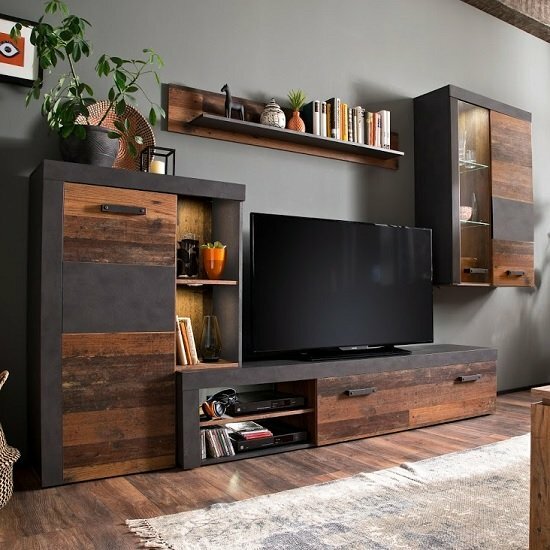 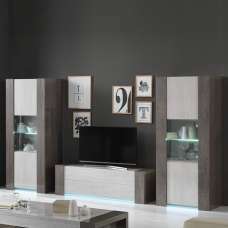 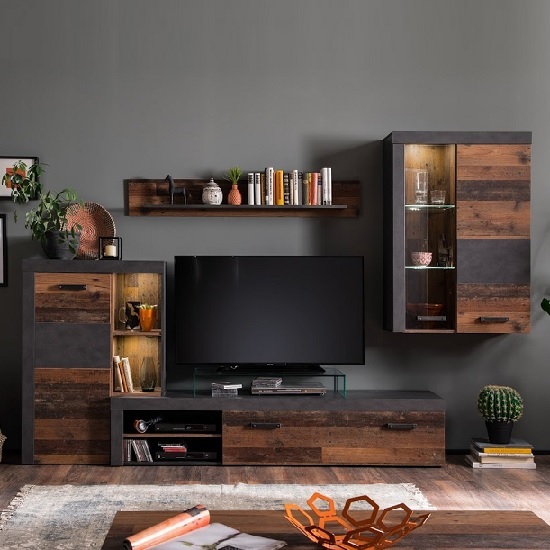 Denno Living Room Set In Old Wood And Matera Grey Finish With LED Lighting, will offer a complete solution to any home decor and creates a unique highlight in any living room space. 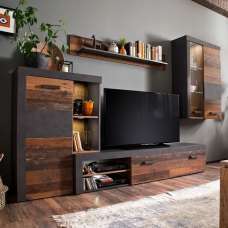 Finished in Old Wood and Matera Grey. 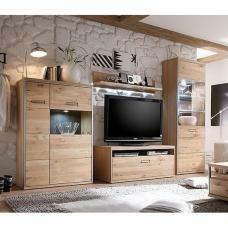 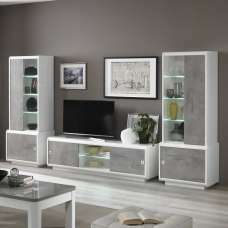 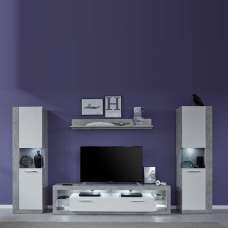 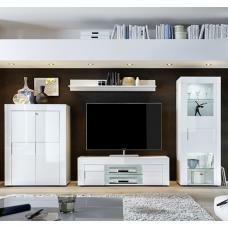 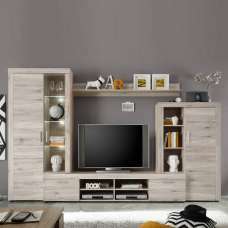 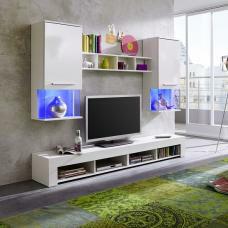 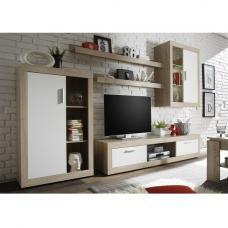 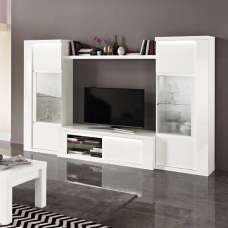 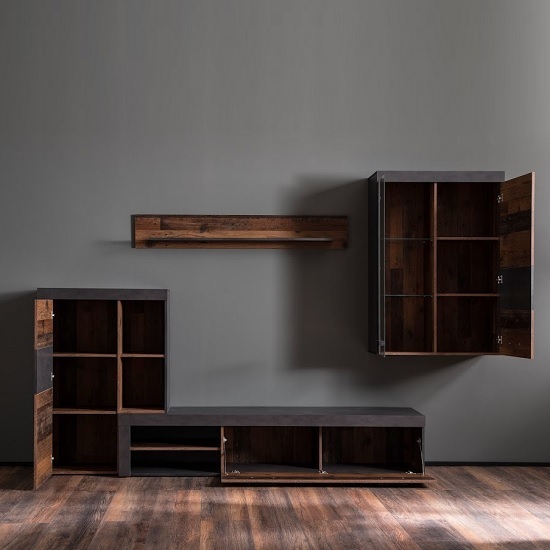 This Set inlcudes Display Cabinet, TV Stand, Wall Shelf And Wall Mounted Display Cabinet. 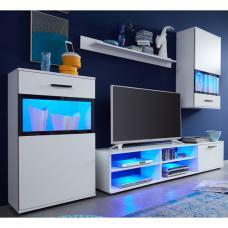 This Set is highlighted by LED lighting.